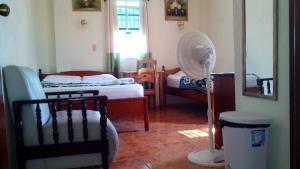 ﻿ Best Price on Cocopele Inn in San Ignacio + Reviews! Cocopele Inn is located in San Ignacio, within 1.9 miles of Cahal Pech and 15 miles of Barton Creek Cave. Featuring a shared kitchen, this property also provides guests with a restaurant. Free WiFi is provided. Guest rooms at the inn are equipped with a TV and a kitchen. Each room includes a private bathroom, while some feature a city view. All guest rooms at Cocopele Inn come with a seating area. Guests at the accommodation can enjoy an American breakfast.